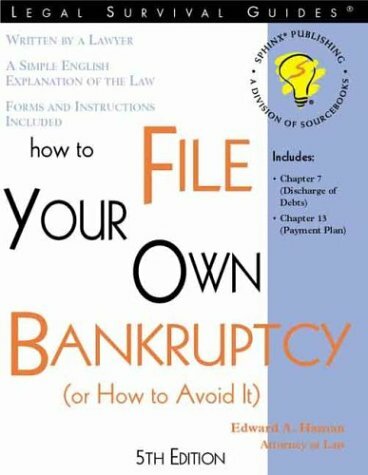 This newly-revised title clearly explains the major changes that have recently been made to the nation's bankruptcy laws. 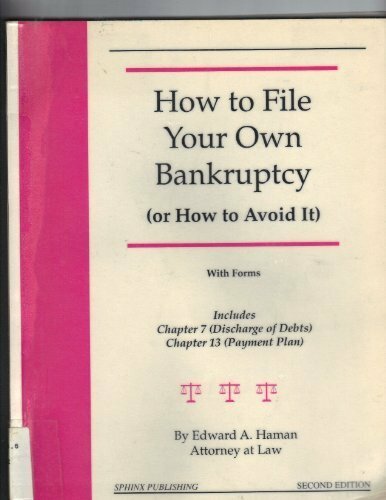 Specific changes will prevent people from eliminating credit card debt and other unsecured loans by filing for bankruptcy under Chapter 7, and forcing them to file under Chapter 13, a court-supervised repayment plan. In addition, while not totally eliminating the homestead exemption, there will be a cap on the amount that can be sheltered in a bankruptcy filing. 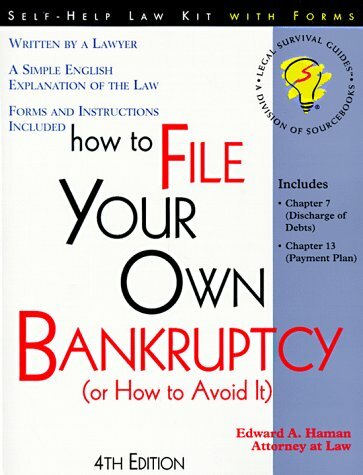 A new glossary, appendix with valuable web site information, state-by-state exemptions and easy-to-use, blank tear-out forms make this book the most current product available. Edward A. Haman received his bachelor's degree from Western Michigan University and his law degree from the University of Toledo College of Law. He has practiced law in Florida, Michigan and Hawaii. Since obtaining his law degree, he has engaged in the private practice of law, worked for the State of Florida in areas such as the protection of children and the elderly from abuse and neglect, and served as a domestic relations hearing officer. 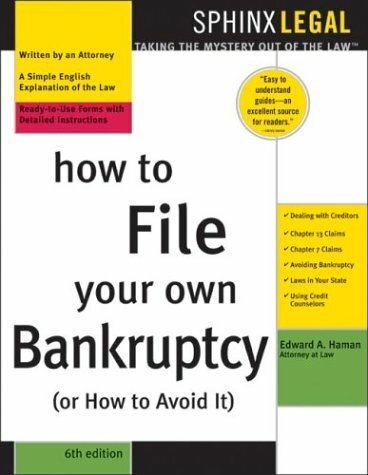 He has written or coauthored more than twenty books, including How to File Your Own Divorce and How to Write Your Own Premarital Agreement. 4. 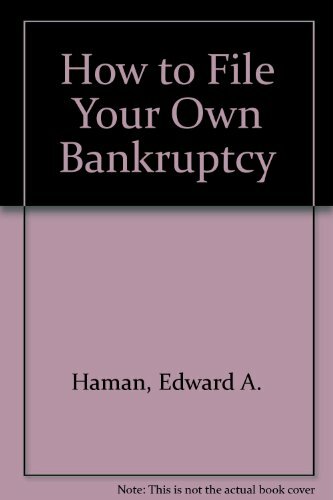 How To File Your Own Bankruptcy (Or How To Avoid It) Haman, Edward A. 5. 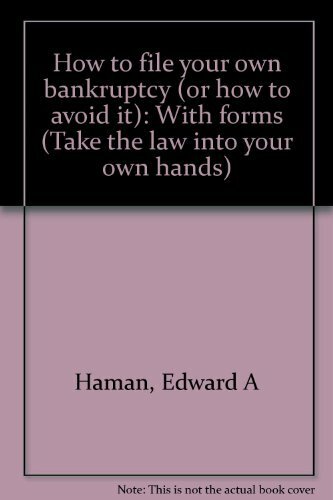 How To File Your Own Bankruptcy (Or How To Avoid It) Haman, Edward A.